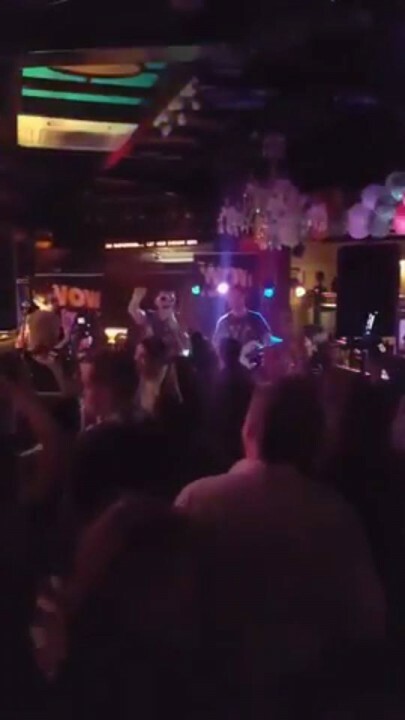 WOW is a unique fully costumed party band experience. 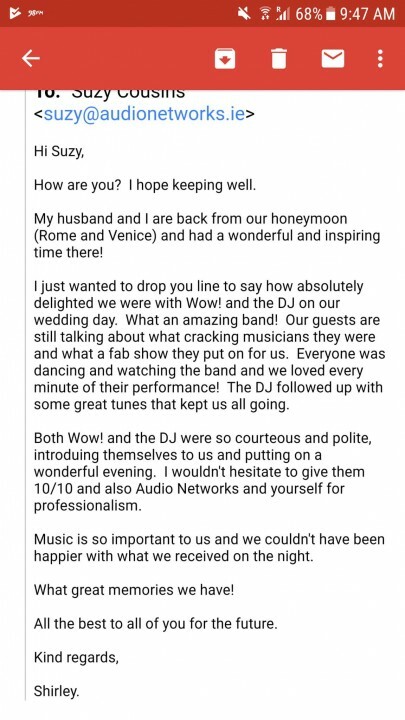 Create your ULTIMATE wedding day by booking WOW. 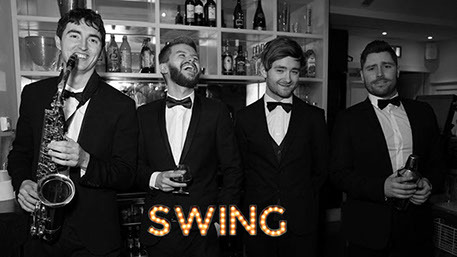 Comprised of 4 professional musicians who have come together to form the ultimate wedding and party band. 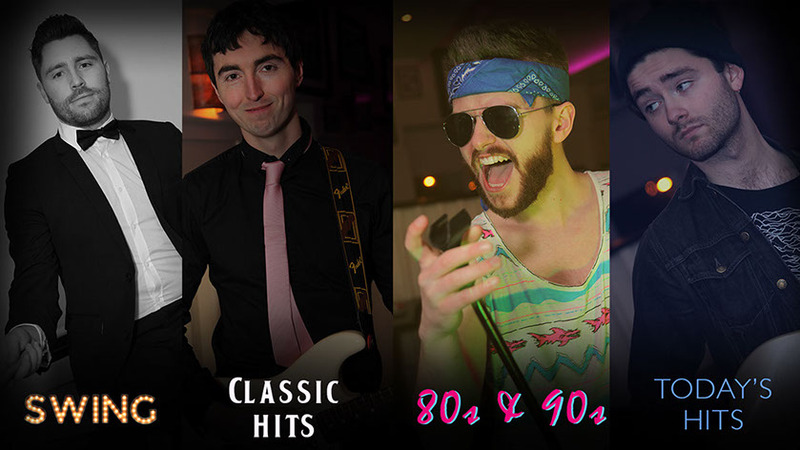 From Swing to Classic Hits, 80s/90s to Modern Chart Hits, we guarantee a packed dancefloor all night! 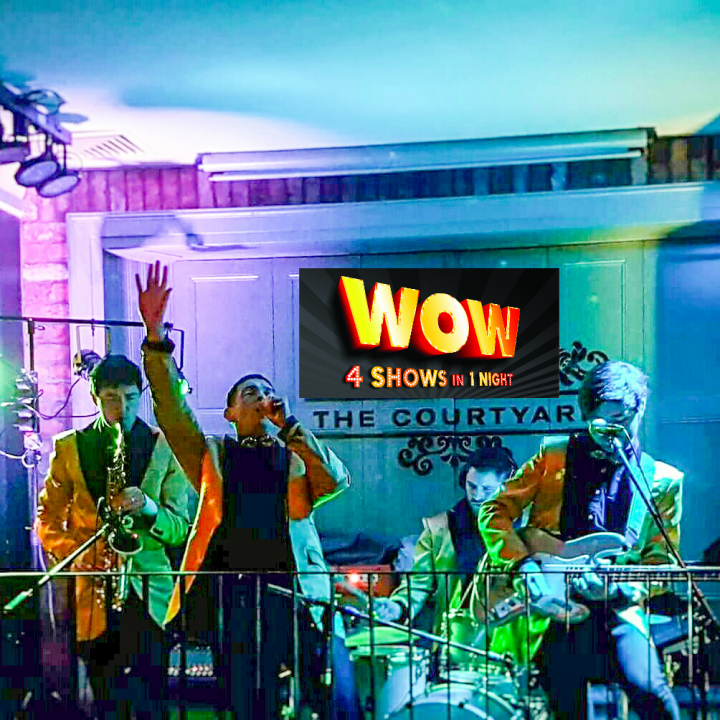 WOW is a four piece band who over the last few years have become Irelands most sought after wedding band. WOW is dedicated to tailoring the set to suit your taste so if you would like more of one of the sections of our show and less of another, that is absolutely no problem. 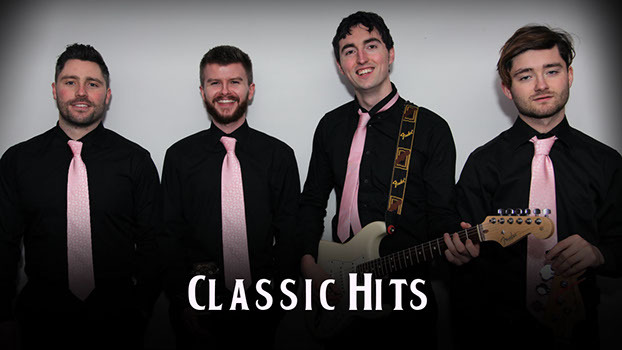 Between them the musicians have played every major venue and show in ireland including The Late Late Show, The 3 Arena and Croke Park in Dublin, not to mention playing Ronan Keatings wedding, jamming with Muse, supporting Olly Murs and being Ed sheerans backing band! We play Dublin to Cork to Galway and everywhere in between. “WOW played the @TwitterDublin Christmas party this year and to say they were a hit is an understatement. They started nice and relaxed and the music was epic however by the end of the night every person was up dancing as the mix of music was perfect, they played everything and even took requests. I think the best thing about the band was that you could tell they just loved what they were doing. Everyone in the office keeps asking about the band and saying how amazing they were. Thank you so much for playing the @TwitterDublin Christmas party we would have you back in a heartbeat, we didn’t want you to stop playing on the night! The free & easy way to check dates, request prices & more. * This is a FREE service, there are absolutely no fees, commissions, hidden charges or otherwise, and WOW Party Band will respond directly to you. We respect your privacy, you are not signing up for a newsletter or spam, and your enquiry goes only to WOW Party Band. WOW Party Band is at Eden House Rathfarnham. 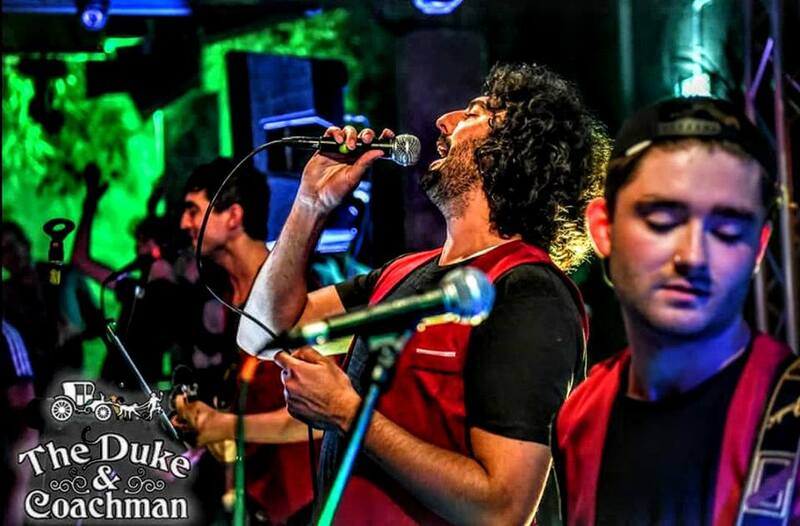 WOW will be rocking The Eden House tonight at 10.30pm. Get down early for seats. This will be a BIG ONE! WOW Party Band is at Old Orchard. Congratulations to Yvonne Norris Moore on winning our competition for tonights gig in The Orchard, 11pm. A big thank you to everybody who entered. 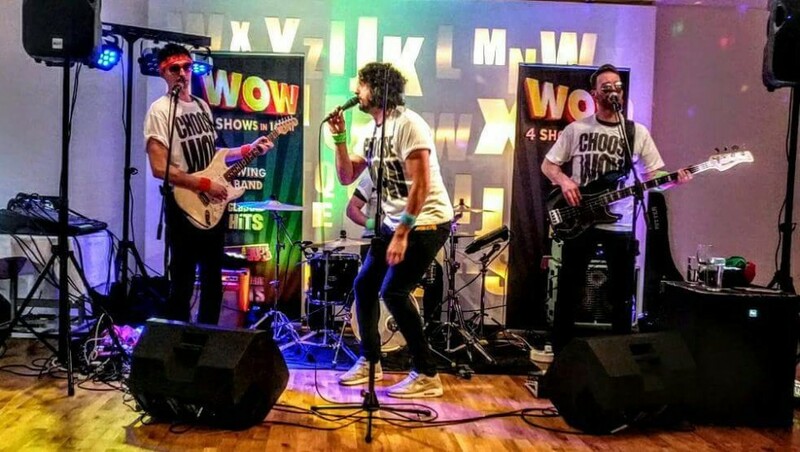 WIN a bottle of prosecco and a reserved table at WOW Party Band's upcoming show at The Old Orchard this Saturday 20th April. Simply like and share this post and tag 3 of your friends. Congrats Yvonne Norris Moore on winning tonights competition! See you there tonight! WOW. Kenneth Mcdonnell, Lorraine Keogh, Kim Wyse. Easter Sunday we are in The Eden House. 10.30pm. Check out this video below! Thanks so much for putting on an amazing show for our wedding. Everyone loved it and it showed because the dance floor was never empty. Look forward to seeing you again soon in the Orchard Rathfarnham. These guys played at my Daughters wedding in June. They were absolutely incredible. From the first dance to the last one, they entertained & performed brilliantly. The dancing Never stopped and everyones still talking about them. A band can make or break your day.My God these lads made ours. Thanks WOW.